Another Pakistani fashion Designer Sania Maskatiya LuLu Winter Edition 2019. Leading fashion designer Sania Maskatiya LuLu has launched her second winter edition & festive collection for women. Furthermore, Sania Maskatiya LuLu is the multi award winning fashion designer in Pakistan. Here we have the second edition of Sania Maskatiya LuLu Designer. This season enjoy with a lot of beautiful winter prints that are perfect for the winter festivities. 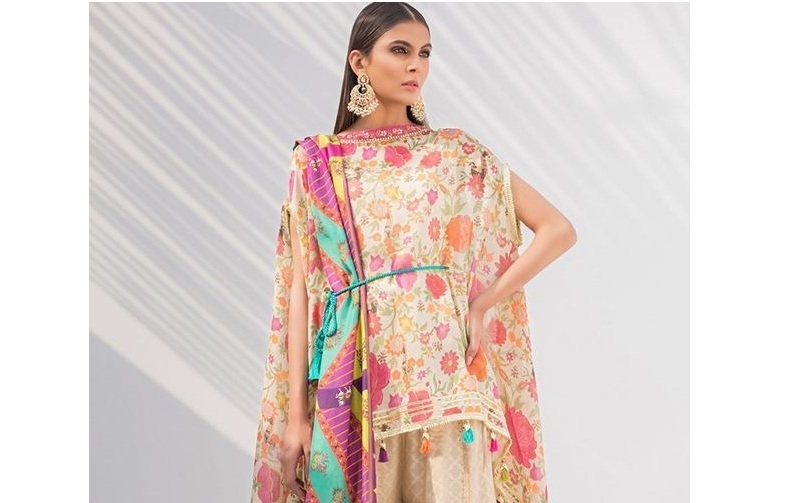 Now it’s festive collection by Sania Maskatiya LuLu Winter Edition that is containing embroidered digitally printed outfits in bright colors. Furthermore, festival winter dresses were decorated with embellished using gota, ari and zardozi techniques. In addition, this hue winter collection containing 34 to 36 pieces collection with pants and all to be sold separately. In conclusion, shop online Sania Maskatiya LuLu Winter festive Edition at the affordable price.